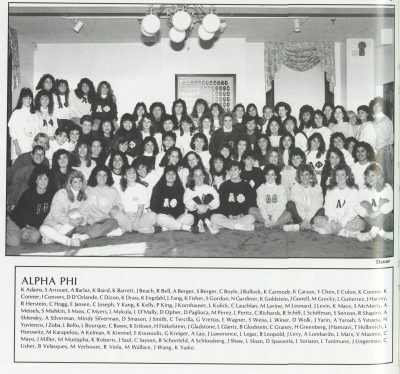 Alpha Phi was founded in 1872 at Syracuse University in Syracuse, New York. Its motto is “Union hand in hand.” The sorority’s colors are bordeaux and silver and its flower is the lily of the valley. 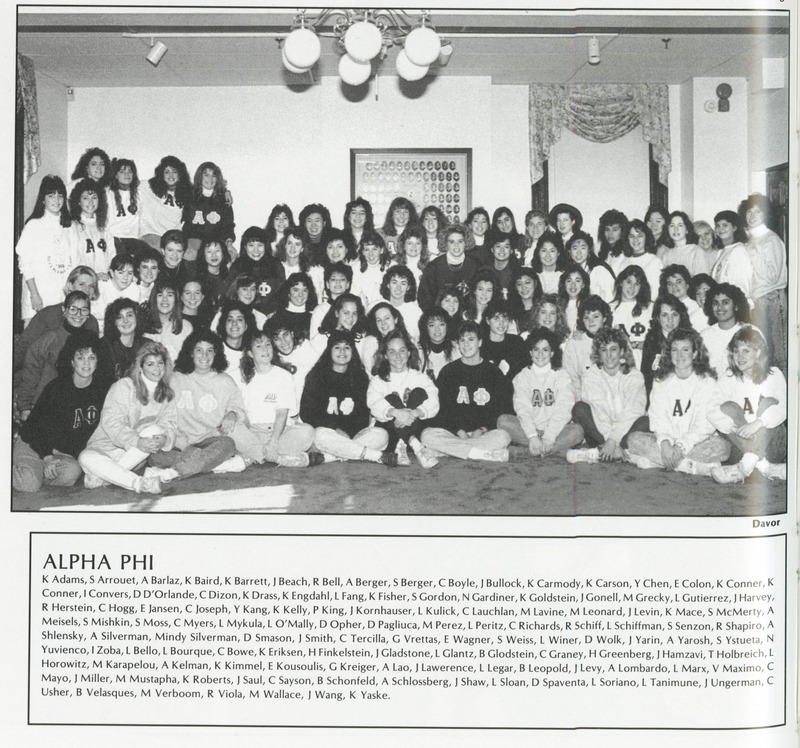 Penn’s Eta Iota chapter of Alpha Phi was founded in 1988, after the forty original members of the Kappa Club social group became pledges of a new Alpha Phi colony at the University the year prior.